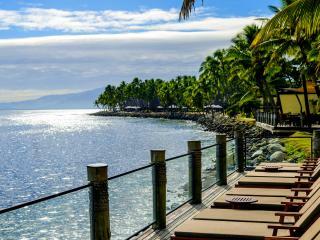 Just a comfortable 20 minute drive from Nadi International Airport is the South Pacific's premier integrated resort complex at Denarau Island. 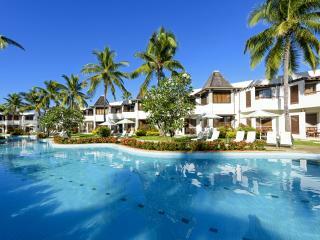 The Sheraton Denarau Villas are nestled between the Sheraton Fiji Resort and The Westin Denarau Island Resort and Spa. 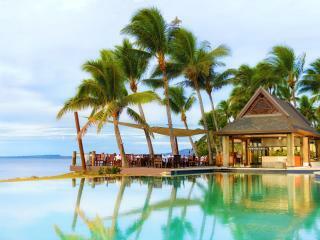 This relaxed Fiji accommodation sits on 6.7 acres of beautiful beach frontage. 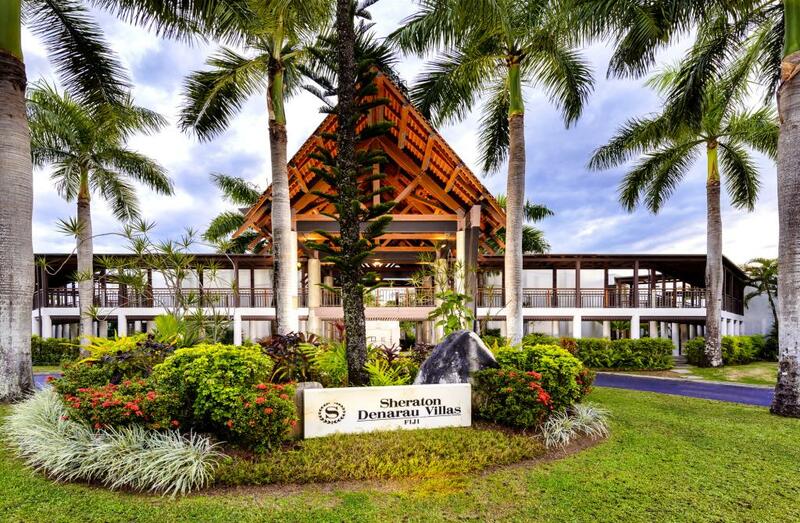 Sheraton Denarau Villas are located in a setting of peaceful lagoons, a stunning horizon style swimming pool overlooking the Pacific Ocean, and South Pacific tropical gardens. 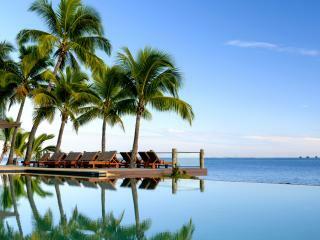 Chill out in the spectacular 750m² Lagoon Swimming Pool with direct access from ground floor villas and guest rooms. The centre of the lagoon features an island adjoined by bridges that connect the island to the villa complex. 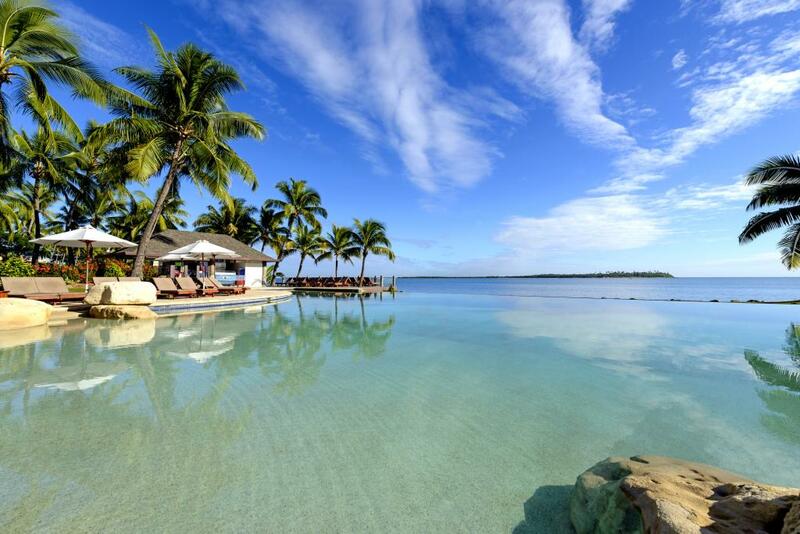 The design of the lagoon pool has adopted a natural lagoon style concept to suit the serene nature of the Sheraton Denarau Villas. 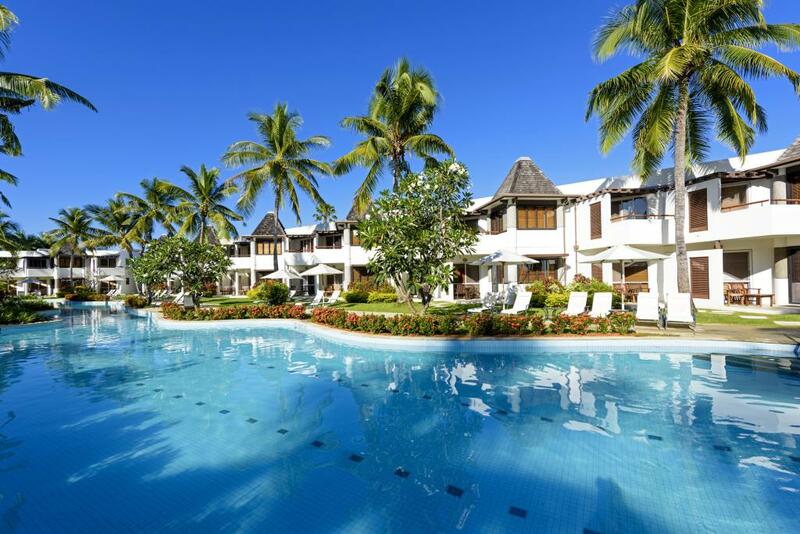 Sheraton Denarau Villas 2 and 3 Bedroom Villas reflect the serene Pacific Island feel and feature a cosy and comfortable lounge and dining area, complete with LCD television, DVD player and home theatre sound system as well as a fully equipped kitchen, ensuite bathroom and laundry. 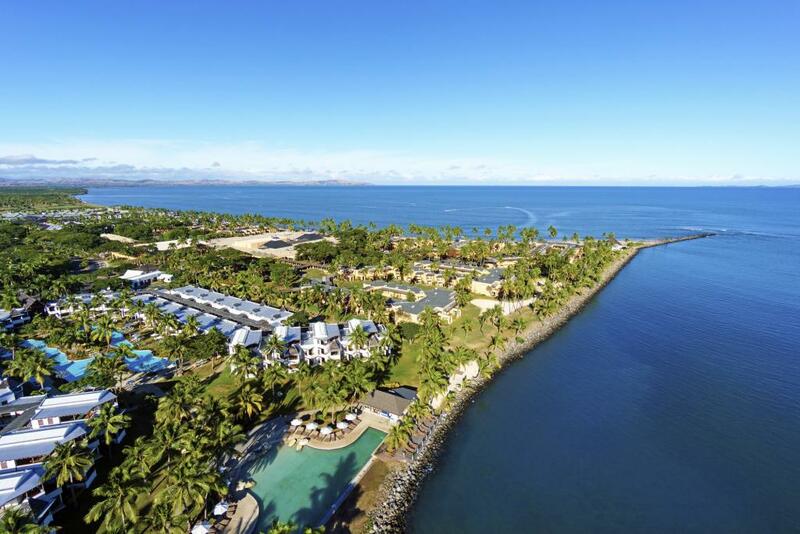 As part of Fiji's luxury integrated resort complex, guests of the Sheraton Denarau Villas are able to enjoy full access to the facilities of the adjacent Sheraton Fiji Resort and The Westin Denarau Island Resort & Spa. 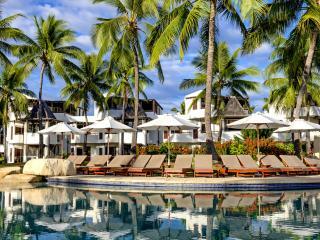 This includes swimming in a choice of 6 swimming pools, dining across any one of the 12 restaurants and bars, rejuvenating with a world class spa experience at the Heavenly Spa by Westin or be energised with a game of golf or tennis at the renowned Denarau Golf & Racquet Club ideally located right across the Sheraton & Westin resort complex. Please note that the golf course will be undergoing a scarifying and aeration procedure from 12th November until 16th November 2018. The golf course will still be operational for members and guests with only 9 holes open for play during this period whilst work is carried out on the opposite 9 holes. Closure of the front 9 is scheduled for 12th & 13th November whilst the back 9 closure will be on the 14th & 15th. It is anticipated all 18 holes to be back to full operation from Saturday 17th November. The course will be using medium sized hollow tines and doing a light scarifying, this will be followed by a heavy topdressing, fertilizer and amendment applications. During this time and for the recovery period, up until December 10th,a reduced rate will be offered. 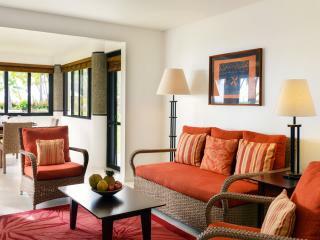 Enjoy the serenity of the resort's luxuriously appointed self-contained 2 and 3 Bedroom Villa's and Guest Rooms. 2 Bedroom Garden Villa: Consist of two bathrooms, one living room, one master bedroom and an additional guestroom, located on either the ground floor or 1st floor and feature balcony or terrace with views out over the landscaped gardens. Size is 112m². Bedding is 1 King Bed + 2 Double Beds. 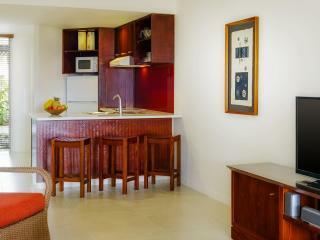 Maximum room capacity is 5 Adults OR 7 Adults & Children with a maximum of 5 Adults. 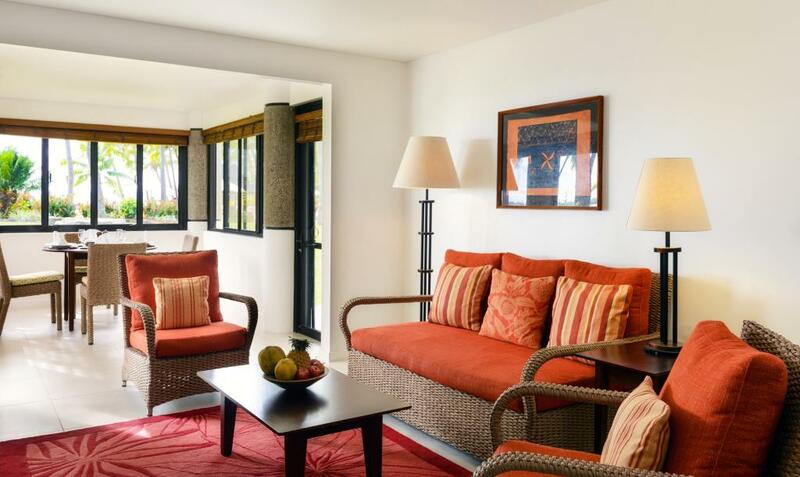 2 Bedroom Lagoon Villa: These rooms consist of two bathrooms, one living room, one master bedroom and an additional guestroom, located on the first floor with views from the balcony of the gardens and lagoon pool. 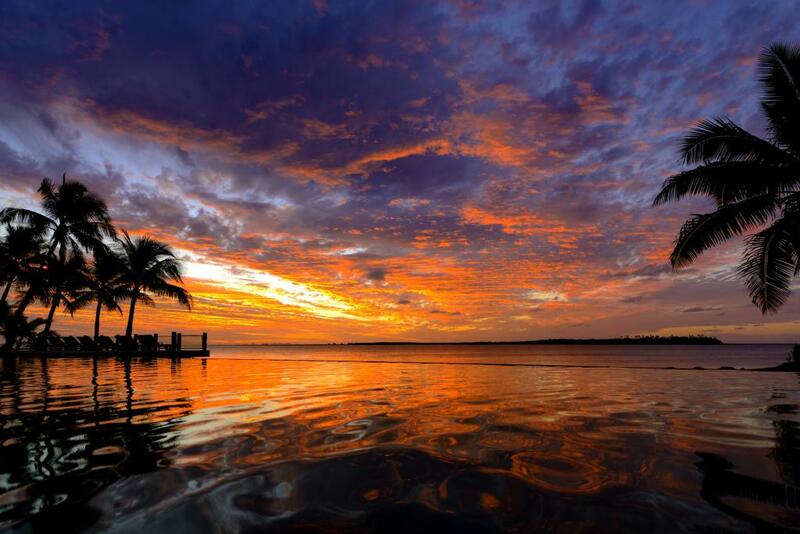 Size is 112m². Bedding is 1 King Bed + 2 Double Beds. 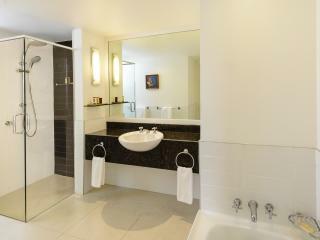 Maximum room capacity is 5 Adults OR 7 Adults & Children with a maximum of 5 Adults. 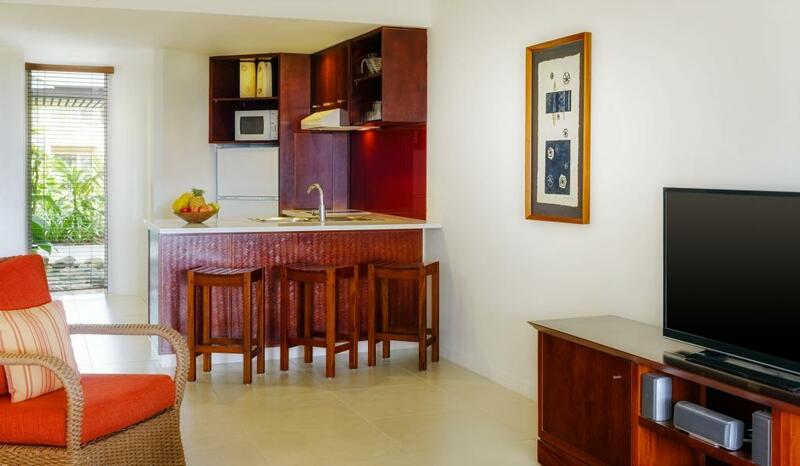 2 Bedroom Lagoon Access Villa: These rooms consist of two bathrooms, one living room, one master bedroom and an additional guestroom, located on the ground floor with views from the terrace of the gardens and lagoon pool. Size is 112m². Bedding is 1 King Bed + 2 Double Beds. 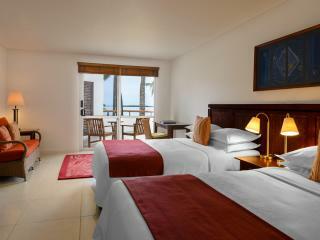 Maximum room capacity is 5 Adults OR 7 Adults & Children with a maximum of 5 Adults. 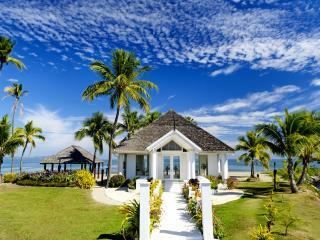 2 Bedroom Seafront Villa: Located on the ground or top floor. Consist of 1 living room, 1 master bedroom and 1 additional guest room. 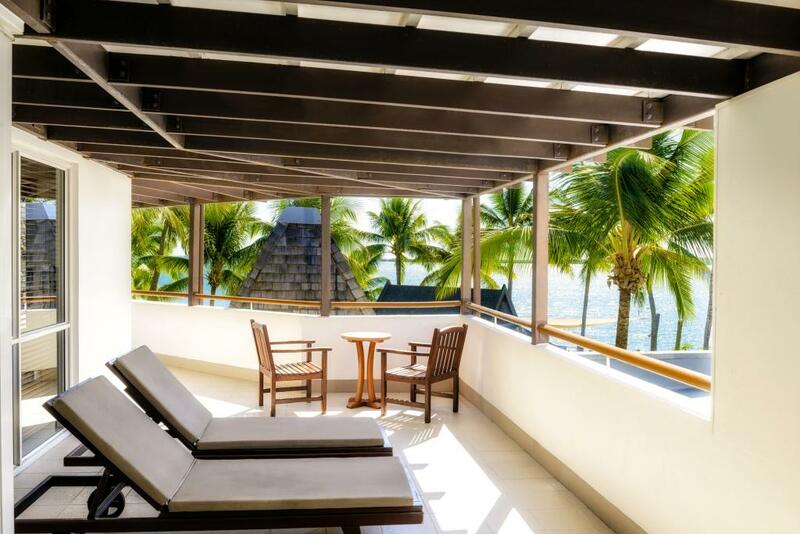 Villas on the top floor enjoy a spacious terrace with panoramic views of the ocean and nearby islands whilst ground floor villas enjoy access to the pool area. Features 2 bathrooms. Size is 112m². Bedding is 1 King Bed + 2 Double Beds. 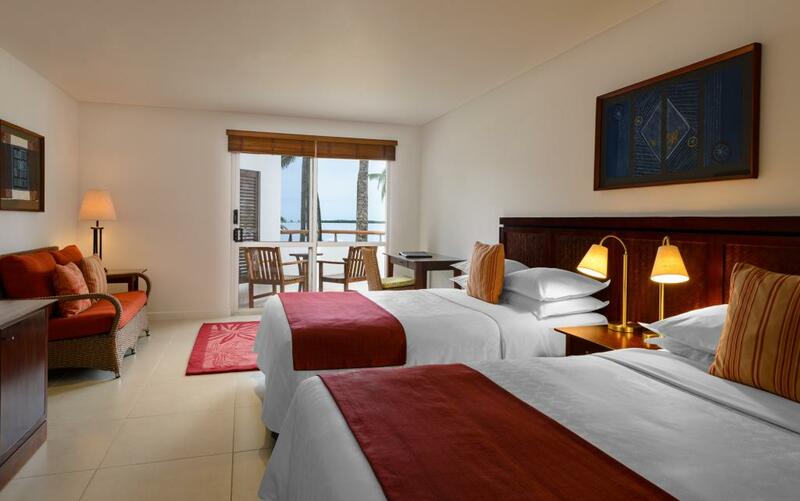 Maximum room capacity is 5 Adults OR 7 Adults & Children with a maximum of 5 Adults..
3 Bedroom Seafront Villa: Consist of 1 living room, 1 master bedroom and 2 additional guest rooms. 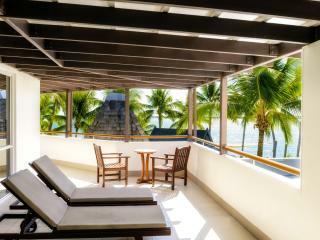 An additional feature is a spacious terrace on the top floor with panoramic views of the ocean and nearby islands. Features 3 bathrooms. Size is 148m². Bedding is 2 King Beds + 2 Double Beds. Maximum room capacity is 7 Adults or 9 Adults & Children with a maximum of 7 Adults. 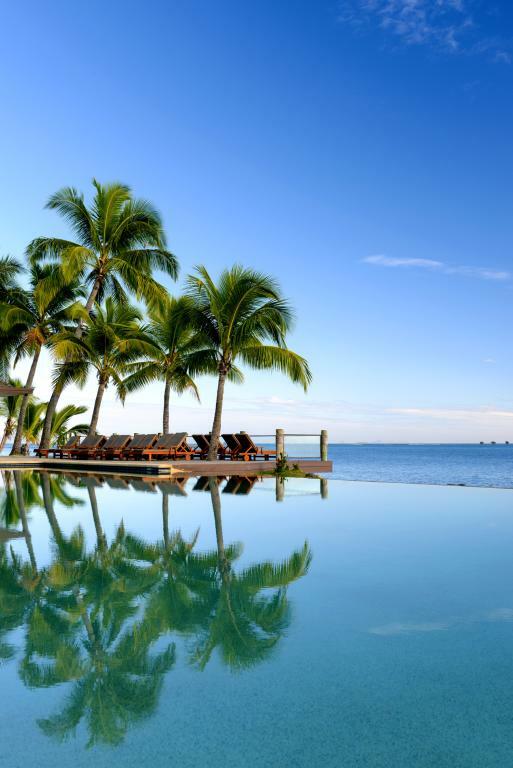 Relax and watch the day go by at the seafront Wet Edge restaurant with swim up pool bar, situated along the side of the infinity pool. Wet Edge opens for lunch and dinner daily. You will enjoy the comfort and services provided by each of the restaurants and bars throughout the Sheraton & Westin resort complex. 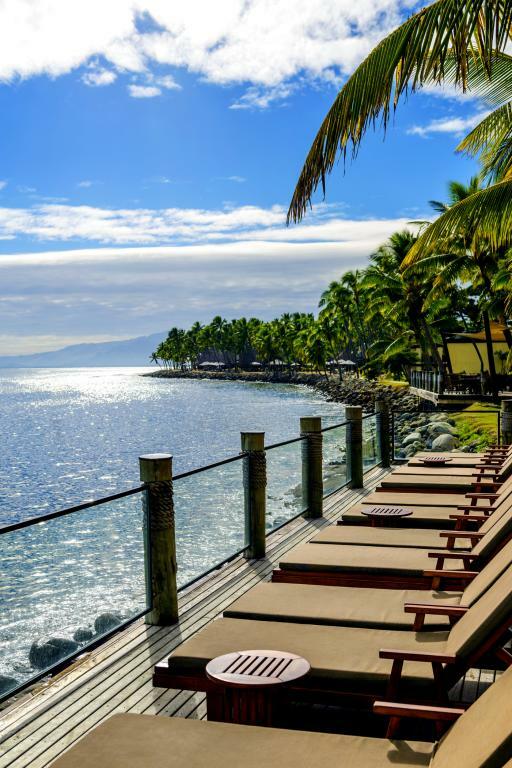 Enjoy poolside dining at the Sheraton Denarau Villas, Wet Edge restaurant or feel the sand beneath your feet at the Sheraton Fiji Resort's Flying Fish Restaurant with its superb choice of fresh seafood dishes with spectacular water views. The complimentary "Bula Bus" makes getting around the adjacent Sheraton & Westin resorts easier and you can charge everything back to your room. 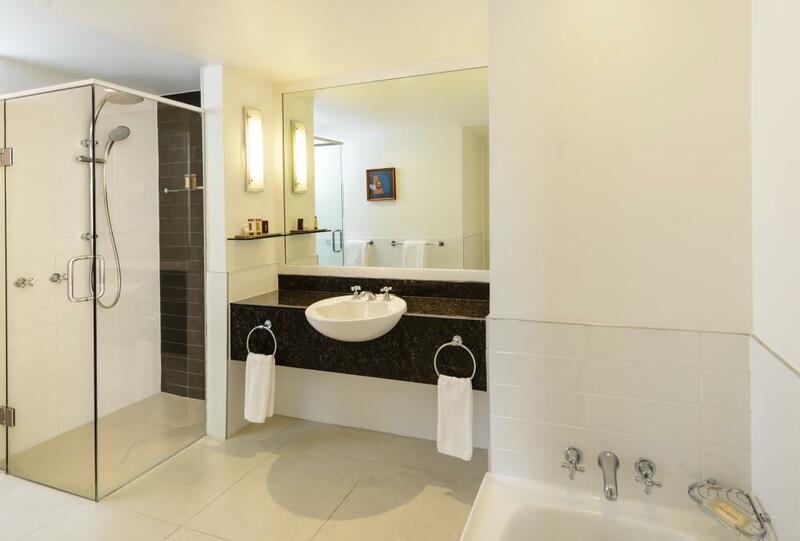 The 2 and 3 Bedroom Villa's have self-catering facilities including kitchenettes with full equipped cooktops, microwave oven, sink, dishwasher, fridge as well as complete set of crockery, glasses and cutlery. 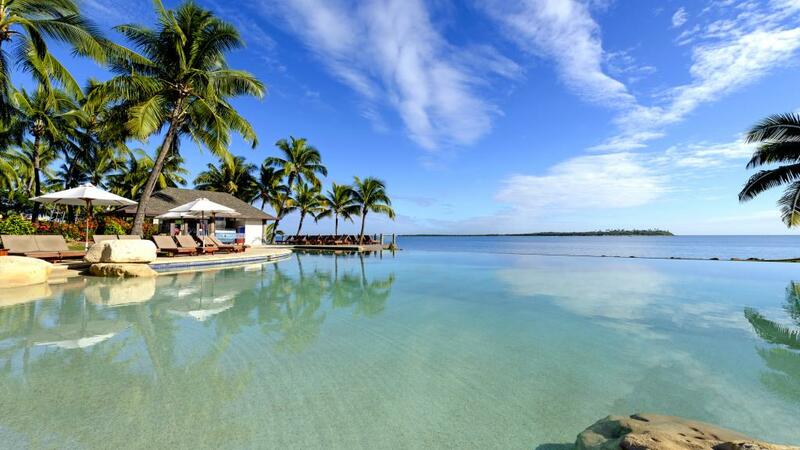 Sheraton Denarau Villas have numerous facilities on offer. Some charges may apply. 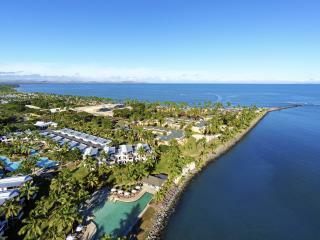 Activities may be located onsite or at the adjacent Sheraton Fiji Resort, The Westin Denarau Island Resort & Spa and the Denarau Golf & Racquet Club. Some charges may apply. Heavenly Spa by Westin: Located at the Westin Denarau Island Resort and Spa, the day spa features a unique Fijian village setting amongst private and tranquil tropical gardens and lily ponds. 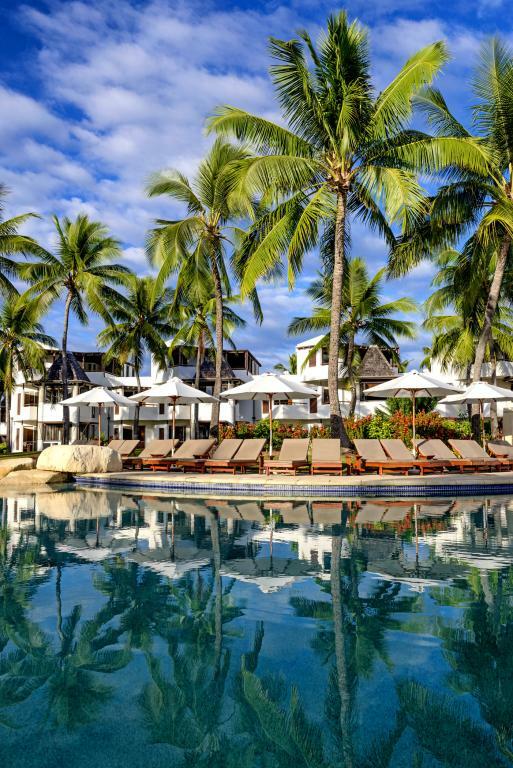 While they offer pampering and privacy for individuals and couples, it is really the incomparable surroundings that inspire transforming spiritual healing and sensory pleasures. 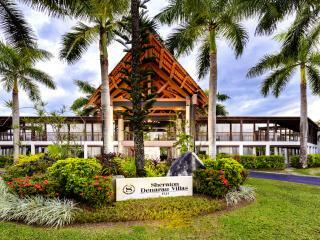 Denarau Golf and Racquet Club: Located in Denarau is available for charge back privileges for all Sheraton and Westin guest. 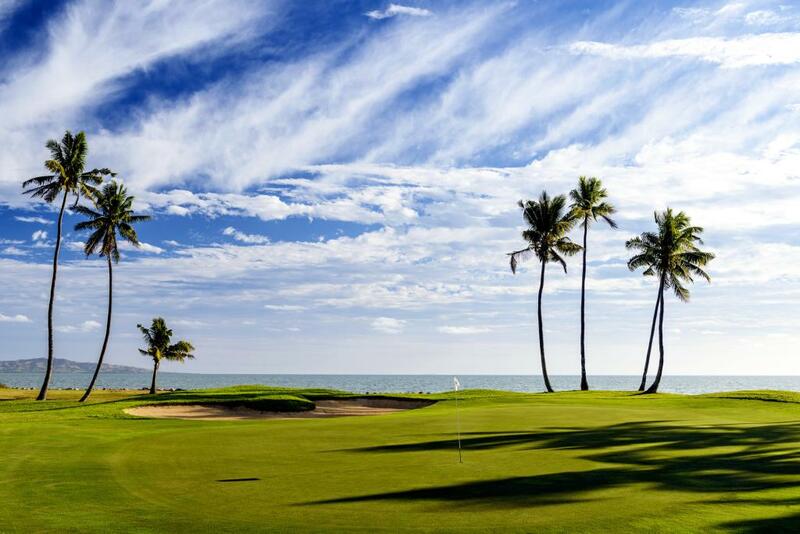 You will know you are playing a round of Golf in Fiji when surrounded by coconut palms and beautiful views of the South Pacific. 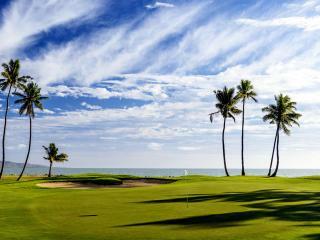 This 18-hole course offers one of a kind tidal waterway challenges on both holes 15 and 18 for golfing enthusiasts. Facilities include a driving range, 2 practice putting greens, golf and tennis Pro Shop, Belo Vula restaurant, bar, adult and junior clinics, private lessons. 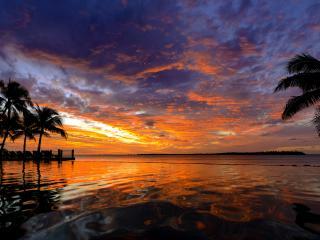 Operating hours are 7am till sunset. 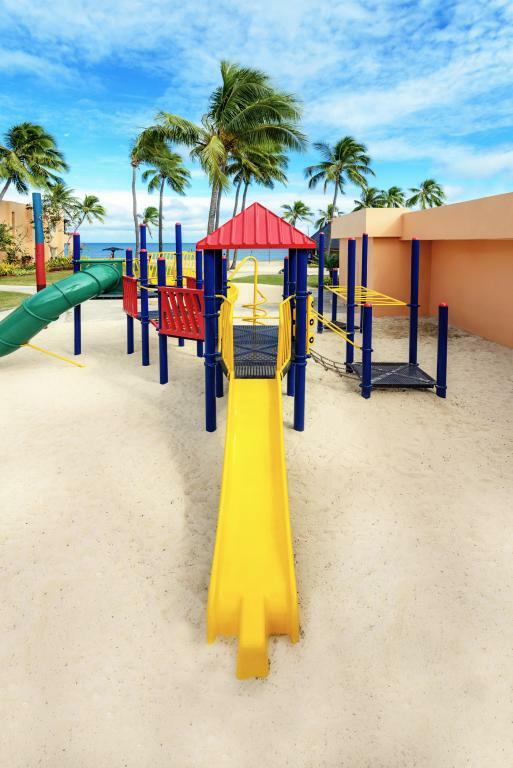 Children aged 4-12 years are welcome to join the Lai Lai Kids Club day program at Sheraton Fiji Resort on a complimentary basis for the duration of the stay (with full access to a daily activity schedule). 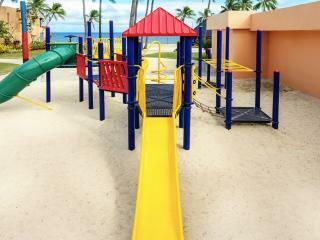 Children 3 years and under or children with special needs must be accompanied by a parent or adult. Additionally, a full evening program is available daily, except Sunday (fees apply, payable direct). Dinner is included in the program (fees apply, payable direct). A babysitting service (surcharge) is available and can be arranged with reception. 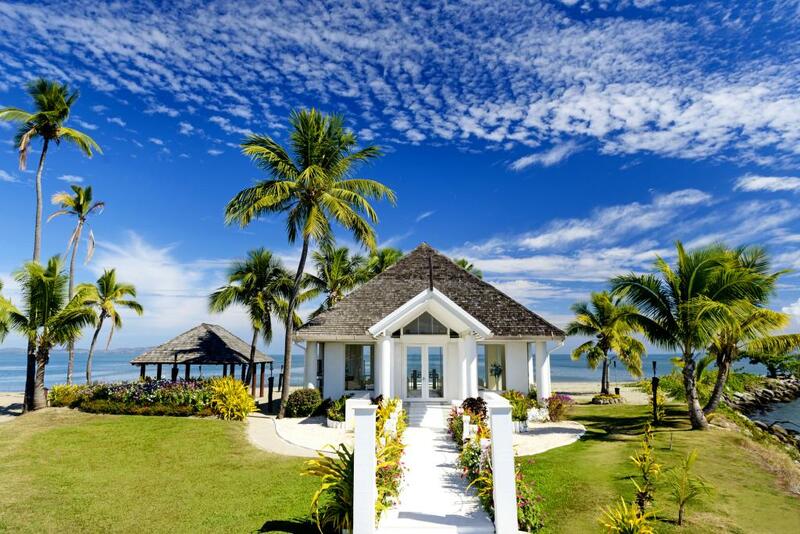 All wedding packages include Marriage license, escorted return transfers to the local registry, minister or celebrant to officiate, wedding venue set up at your choice of one of many exotic and romantic wedding locations on Denarau Island. Marau - a wedding of joy: Includes bridal bouquet & buttonhole for the groom, a trio with acoustic guitars to provide romantic music, professional photography includes 72 prints in a small presentation folder and negatives, private venue. Paradise - an idyllic chapel wedding: Includes - chapel hire (1 hour period), buttonhole for the groom, bridal bouquet , decorative flower sprays for the pews, a Fijian choir singing hymns, professional photography includes 72 prints in a small presentation folder and negatives, His & hers Fijian Sulu gift.